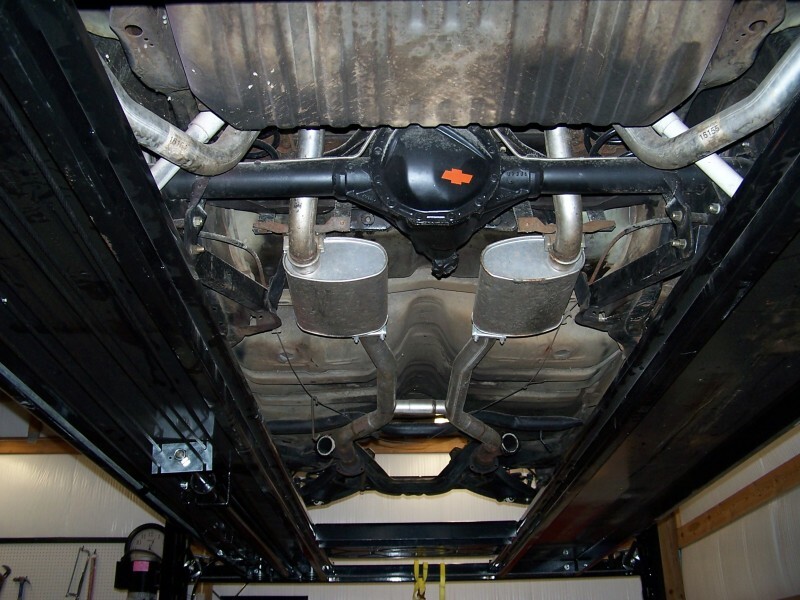 Id point out that most two and most four post lifts require a 10-11 foot ceiling height simply cause most cars are 5-6 feet tall, and most people at 5.5-6.5 tall who work on cars thus to stand erect under the car youll need that height, obviously if you use a mechanics creeper you cut that requirement drastically lower as you only need 2-4 feet under the car to work, and get full access. there are two post lifts that are only 8-9 foot tall but shop carefully for any lift and ask about certifications,many import lifts and some domestic lifts are cheap crap, that are not safe! on a 4 post lift its a fairly strait forward deal if youve got instructions, but on a TWO POST lift your concrete floor thickness and concrete strength are factors that need to be seriously considered. 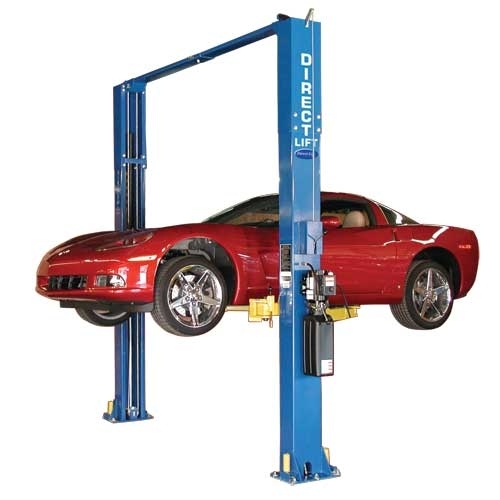 if your using the lift to store a car and allow a second car to occupy the same floor space a 4 post lift is ideal, if your using the lift mostly for working on a car ,, brakes,suspension engine,exhaust etc. a quality two post lift has several advantages. both the two post and four post designs have advantages and disadvantages, the question you should ask yourself first is WHATS the MAIN purpose of the lift......if its storage the 4 post is easier to deal with, but if you actually work on the car frequently I can,t see any real choice but a quality two post lift, especially if access for brake jobs and suspension work, and easy drive train access is important to you. 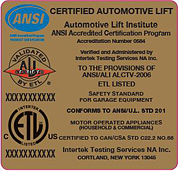 any lift worth having will have this sticker, its NOT just a "STICKER" its a certification that the lift design HAS BEEN TESTED and will function under its rated load plus about 30%-50%, and that it meets some minimum safety feature requirements. A certification for any product serves several purposes. The one that no one sees is consistency of manufacture. That's a big one and the one that should concern you with a product like a lift. obviously theres always going to be a few IDIOTS that should never be allowed to operate machinery, who have accidents, but its at least reassuring to know that the basic lift is unlikely to structurally fail. TAKE THE TIME TO DO RESEARCH and FIND OUT WHAT SEVERAL PREVIOUS CUSTOMERS THINK, HOW LONG THE COMPANY'S BEEN IN BUSINESS , ETC. remember the price is only one factor, theres no gain in getting a good price on JUNK that can,t be repaired, something that parts are not going to be available for in a few years or something that will sooner or later get you killed, due to crappy workmanship or design or something being made out of marginally crappy steel, or thin steel to save weight but costing your lift strength......theres a GOOD REASON ITS CHEAPER, ITS WORTH A GOOD DEAL LESS AND IN MOST OF THE CASES, you TEND too GET what you pay for! Compare feature for feature, the 9000SI beats the competition hands down. We could talk about quality. We could talk about the rugged durability. We could talk about the design. But we let the features do the talking for us;Single-Point Safety Release; Two Independent Heavy-Duty Hydraulic Cylinders; Convenient Stack-Pad System; Clear Floor Design: Automatic Arm Restraining System; ALI certified/validated by ETL - and that's just the beginning. If Quality is what you're looking for, you'll find it in Ben Pearson's 9000SI Two-Post. The reasons are simple, we build each lift to exacting specifications. Plus, we don't build any lift to meet our needs, we build them to meet your needs. equipment with every 9000 series Ben Pearson 2-post lift. A convenient stack-pad storage rack is located on each post. Low profile arms for low ground clearance vehicles. 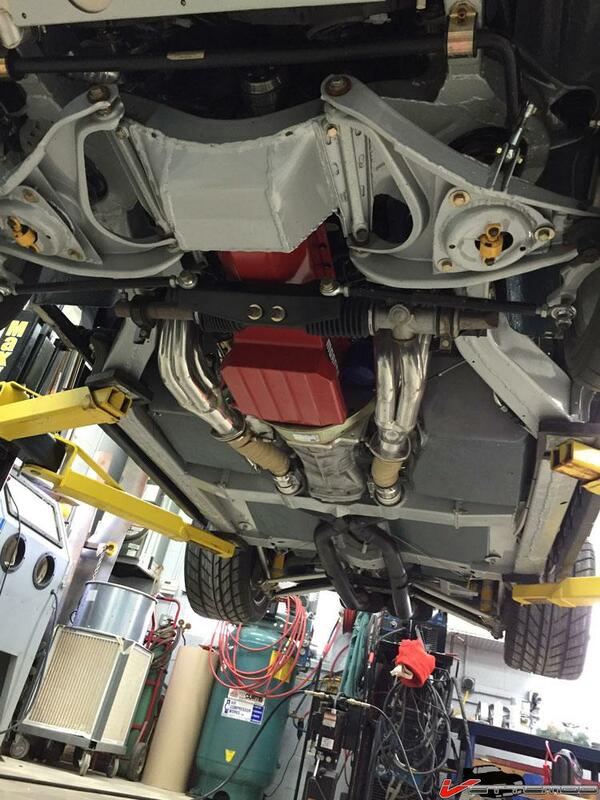 a 9000 lb lift will handle almost all personal cars/trucks. IF YOU FIND WHAT YOU THINK IS A GREAT DEAL ON A NEW LIFT< STOP AND DO SOME RESEARCH BEFORE SPENDING YOUR CASH!! I really don,t want too "RAIN ON YOUR PARADE"
heres the lift I purchased, I felt it was the best value, HAD THE BEST SERVICE SUPPORT AND BEST ACCESS UNDER THE CAR, ACCESS TO THE WHEELS, TRANSMISSION,EXHAUST, etc. btw I purchased a two post lift on the advice of several repair shops after being convinced and thinking at first that I wanted a 4 post lift, they pointed out that access to the brakes and suspension and under the corvette working on the drive train the access was better. now Id purchased the two post lift and have been using it for awhile and went over to help a buddy with his 4 post lift, putting the car up on the lift is far easier with the four post , and it looked and worked just fine, but after that I found the guys at the repair shops were totally correct, working access under the corvette sucked compared to my 2 post lift. keep in mind you have a choice of 2 or 4 post is based on what you plan to do most. 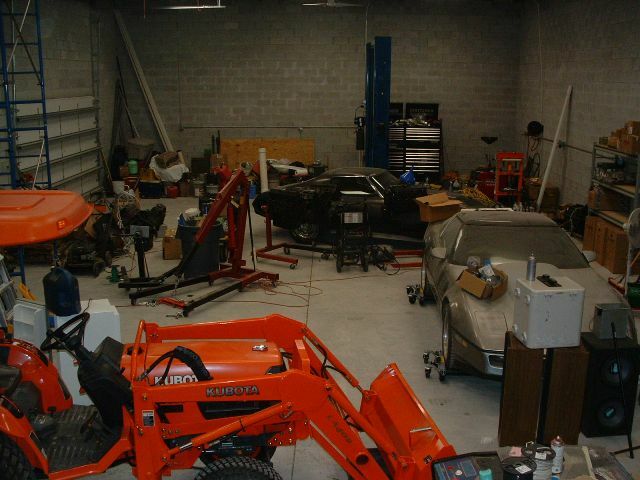 4 posts are better for storage but you will be driven crazy working around the support ramps 10 minutes through the first job if you are working on wheels or brakes, exhaust systems etc.. I makes no difference how much you spend on the lift, if it is not anchored on a GOOD THICK concrete base, with the correct anchors and in concrete of the correct composition it will be dangerous, to work under ID strongly suggest a MINIMUM of an 8" thick 3500psi concrete slab under a two post lift and a 4"-6" slab under a 4 post. 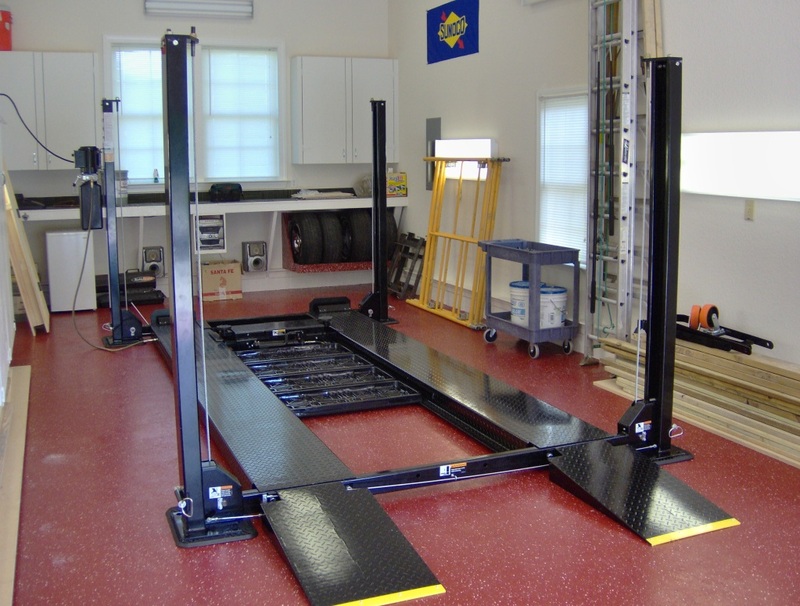 many standard garage floors are only 2"-3" thick and made from 2300psi concrete so a custom FOOTER might be, required under the lift base, being necessary, to provide the required stability,check with your lift manufacturer for specs. If you have it delivered,from out of state, in most cases you will not pay sales tax. Consider the tax, AND COST OF THE GAS AND POSSIBLY THE TRAILER RENTAL FEES, versus the shipping cost before you decide to go pick it up. BTW I was asked why I didn,t do the install myself and had the factory reps do the install? I LOVE MY LIFT and IVE had no problems with it, I also thought the cost to have it installed was rather high, but it took two experienced guys about 4-to-5 hours to do it and I figured it was well worth the cost if I ever had problems, because , experience has taught me that the warranty , on ANY LIFT, would have been virtually worthless, from any company ,if it ever came to a law suit, as EVERY problem would instantly be (BECAUSE OF IMPROPER INSTALLATION) IF the factory did not install it? 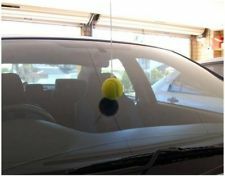 OR you might want to hang a bright orange or green florescent tennis ball or two from the garage roof rafters so it , or they,just touch some easily seen and repeatable place(s) on the car like the tip of a wind shield wiper once you find the exact best location to park the car in that garage , thus allowing you to consistently pull the car into the exact location you prefer without taking the chance of hitting some part of the wall with the car or finding the door won,t open without hitting the wall etc. I talked with easily 20 repair shops before I bought my lift, and I was 100% convinced, before I started out , asking questions. that I wanted a nice 4 post lift, (obviously driving onto a four post is easier than positioning lift arms under a car frame)but after talking with shop after shop that was doing constant repairs it slowly dawned on me that I was seeing very few shops using the 4 post lifts and every last mechanic suggested a quality two post as being more versatile. 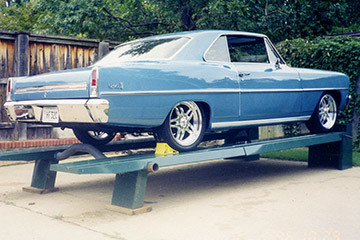 typical 4 post lift makes getting the car up on the lift easy and once up you can usually store a second car under it , but working on the suspension wheels, brakes ant at times on the exhaust is a P.I.T.A. 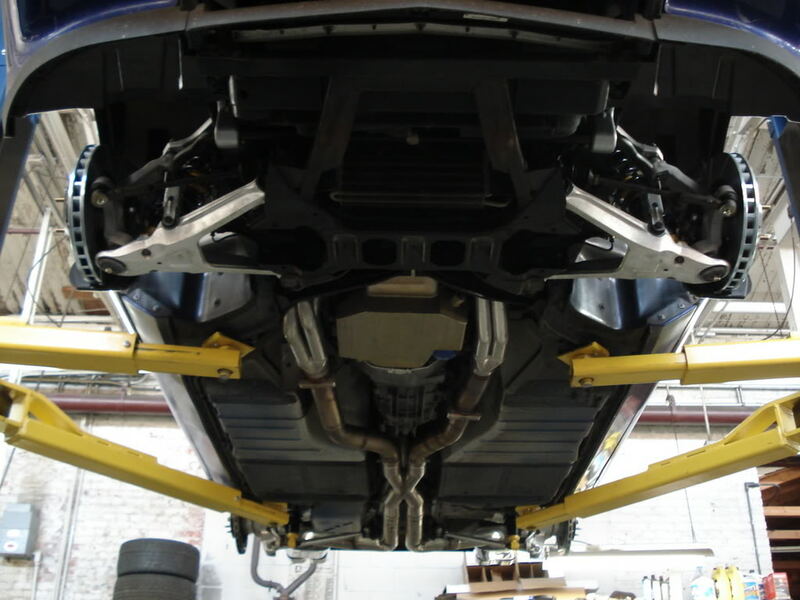 a typical two post lift takes more effort to position the lift arms on the frame of the car but once the cars up,it allows almost unlimited access to the suspension drive train and exhaust systems ETC. will have the problem resolved in a short time..
IVE used them, their less expensive too buy and very easy too use but unless your doing mostly brake jobs and wheel and suspension related work and maybe oil changes most of them are a P.I.T.A. or useless for many jobs and access under the car is very limited and unsafe in my opinion. "1: why 12 ton? Ain't 6 ton more than enough? 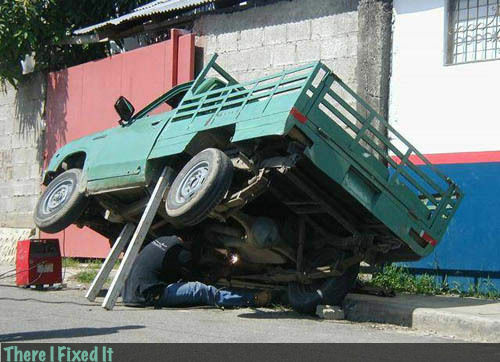 2: how do you jack up the car? do you enroll your wife? 3: what floor jack do you use? Prices vary quite a bit?" (2)OK first you DON,T raise a vette one corner at a time! you drive it up on the ramps to get clearance for the jack then slide the floor jack under the center of the front (CROSS MEMBER) and lift the front and place BOTH front 12 ton jack stands, under the frame , wide spaced, then the angle allows you to either use a second floor jack or move the front floor jack to the rear of the vette, and lift the whole back and place both REAR 12 ton jack stands, on the rear frame. 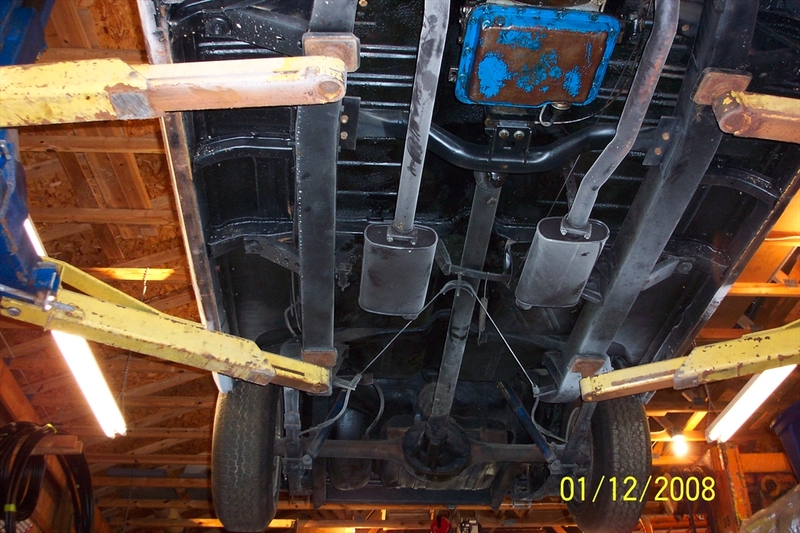 now personally I usually leave the rear jack stands and the jack holding the rear up ,and the 12 ton jack stands on the front with the tires hanging just above the ramps, that way theres almost no chance the vette can fall, even if some component were to fail. 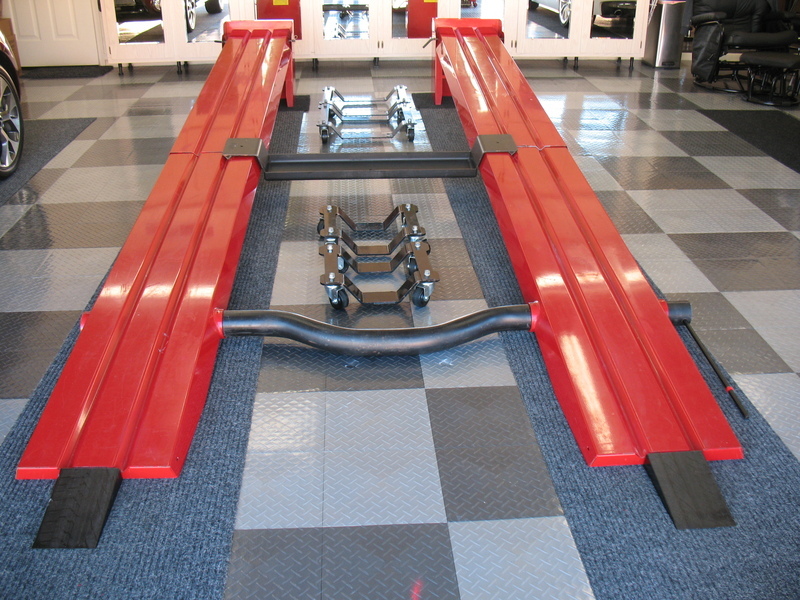 Ill ALSO point out I have and have always used two floor jacks, twin rino ramps and 4 12 ton jack stand WHEN I was under the corvette as I don,t want to be doing bench presses with a vette! this jack looks good in the info they posted, but if you can afford it ID buy two, so you can jack the frame with a buddies help with minimal frame twist. if you look VERY CLOSELY it appears the roof rack on the van jams against something, maybe the door frame or part of the ceiling anf the extra load, as the lift trys to compress the van against the ceiling busted the lift. 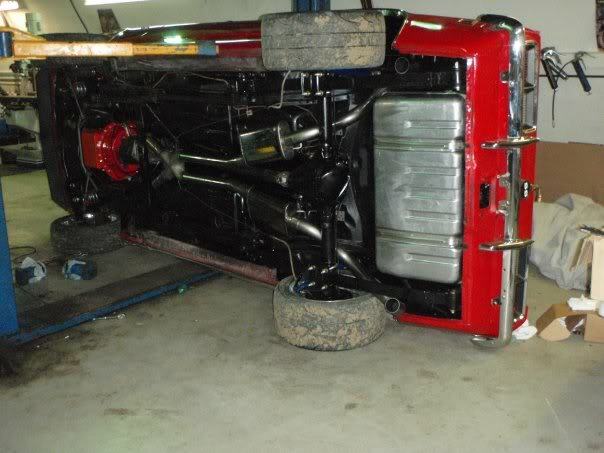 grumpyvette wrote: if you look VERY CLOSELY it appears the roof rack on the van jams against something, maybe the door frame or part of the ceiling anf the extra load, as the lift trys to compress the van against the ceiling busted the lift. Either that or the lifting cable was off the pulley or broken on that corner and it wasn't lifting. The more the other three legs lifted, the more that corner tilted that one leg sideways to the point of breaking. ABSOLUTELY DO NOT BUY FROM THESE GUYS! In Part 1, we covered basic elevation and support devices that are viable alternatives to vehicle lifts for a plethora of chores. However, there are times when you absolutely need a lift to get the job done, and some lifts will also provide you with additional vehicle storage space in your garage, and that is what we're going to cover here. What is your intended purpose for buying a lift? In large part, the kind of lift you actually get will be determined by the answer to this question. 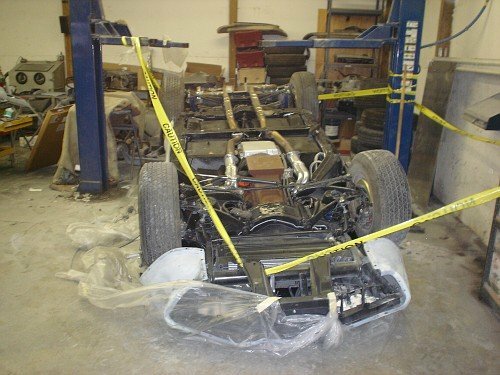 Do you intend to do restoration, repair, and/or maintenance to your Corvette? Will you be using it to work on other vehicles as well? Do you want to elevate the car so you can park another vehicle underneath it? Do you just want another neat toy for your garage with the inherent bragging rights that come with it? Perhaps all these things? Only you can answer these questions, so that is where you should start. Having champagne taste on a beer budget is the next thing you'll have to sort out. How much can and are you willing to spend on a lift? Bear in mind you will get what you pay for with this purchase, so it really doesn't pay to be penny wise and dollar foolish. Also remember this is literally a once-in-a-lifetime purchase, so you'd be wise to allocate enough money to buy a lift that will keep you happy and do everything you expect of it for many years to come. The height of your garage and your intended use for the lift both come into play when making this decision. For example, if you have 10 feet between the floor and the rafters of your garage, you'll have about 6 feet of clearance to work and walk under the lift when the Corvette is on it, which is fine for most people, unless you are extremely tall. 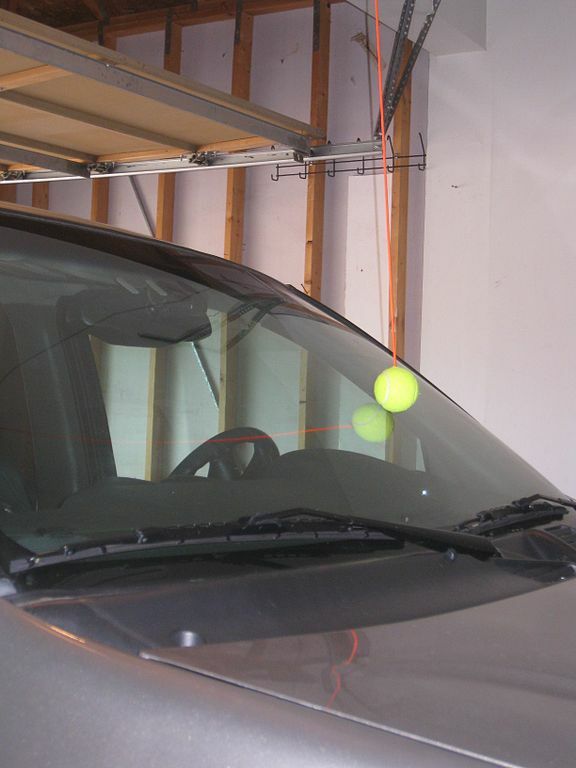 Conversely, if you only have 8 feet of rafter clearance, then you'll only have about 4 feet of space between the ground and the bottom of the car when it's on the lift, so this is definitely something you need to think about before making a purchase decision. 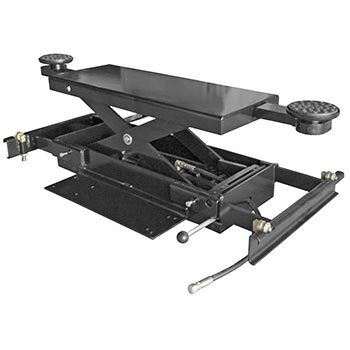 And this will also be an issue with regards to the height of your garage door, should you decide to get a caster kit to make the lift moveable; if your garage door height is less than the posts of the lift on casters, you won't be able to roll it out into the driveway to work in nice weather. You may also decide that you don't need to have full-height elevation, and if that is the case, you should consider a mid-rise lift that will give you a few feet of ground clearance, and these can save you quite a bit of money. If a mid-rise lift sounds like it's worth investigating further, bear in mind that you can get models like the Kwiklift that don't require any electricity and can be disassembled, moved, and stored easily, too. Since all Corvettes are well under 4,000 pounds, a 2-ton capacity lift should be sufficient, right? Well, yes and no -this goes back to your first answer to the purpose question. 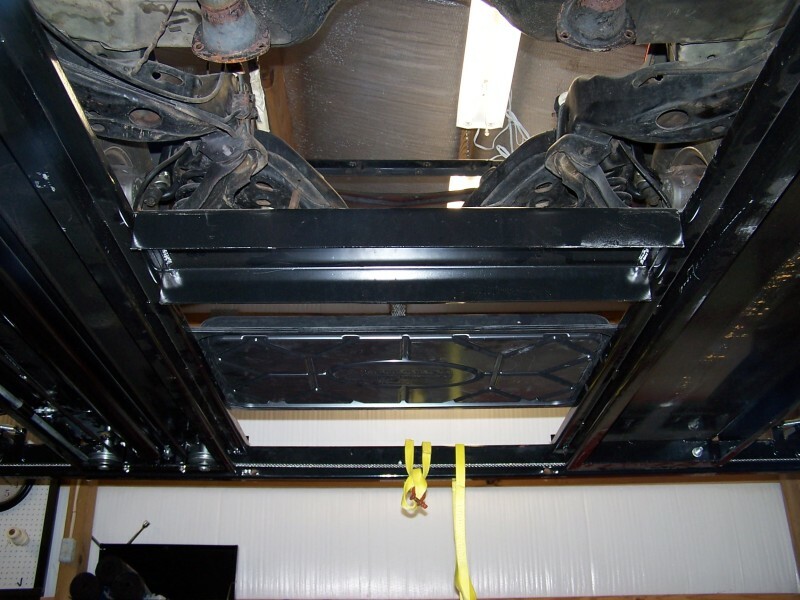 If you're going to use the lift to do work on your truck, SUV, or other vehicle(s), then you'll want a lift with adequate capacity to handle these as well. I'm a big proponent of "more is better" when it comes to tools and equipment, and for this reason, I highly recommend going with a lift that exceeds your lifting requirements. Even if you don't think you'll need a 3- or 4-ton capacity lift now, things may change down the road a bit, and you may need the extra capacity then. Generally speaking, there isn't a tremendous price difference for the higher-capacity models among most manufacturers, so spending a few extra bucks for a stronger lift is something to give some serious thought to. The safety locking mechanism is of paramount importance and is a feature you should pay extra attention to when deciding on a lift. Not only do you want a positive locking mechanism that engages automatically and requires a deliberate manual release to disengage it, you also want a mechanism that becomes active as soon as the lift starts to elevate. 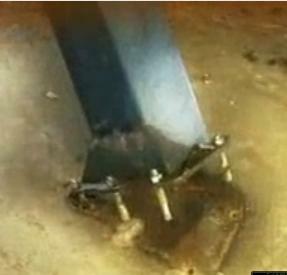 This is a particularly important point, since several lifts have locking mechanisms that don't engage until the lift is 18 inches or even 24 inches off the ground-having the lift fail and come crashing down on your legs from 18 inches is enough to permanently cripple you, so don't underestimate the importance of the locking system. 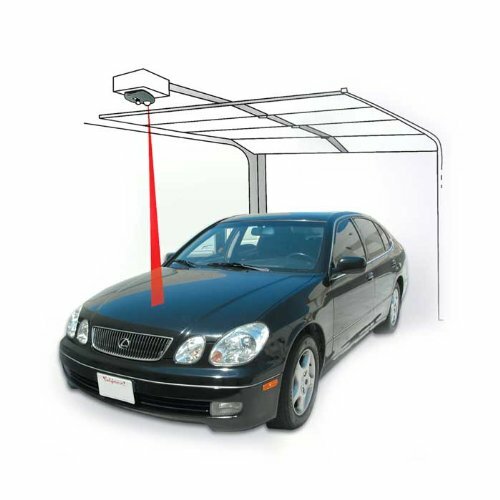 You also want the locking system to be fail-safe, which means that even if the lift motor and/or hydraulics completely fail, the locks will hold the lift and your vehicle safely and stably in the elevated position indefinitely. Do not skimp here. Some lifts require permanent mounting to the cement floor of your garage. 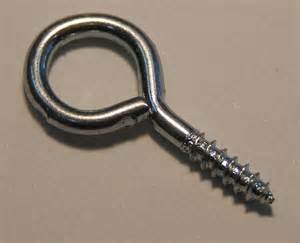 Permanent mounting may be a necessity for some lift types (e.g., two-post models) or may afford additional stability. Lifts that don't require permanent mounting can be moved with the aid of caster kits, making them easy to relocate if required or desired. 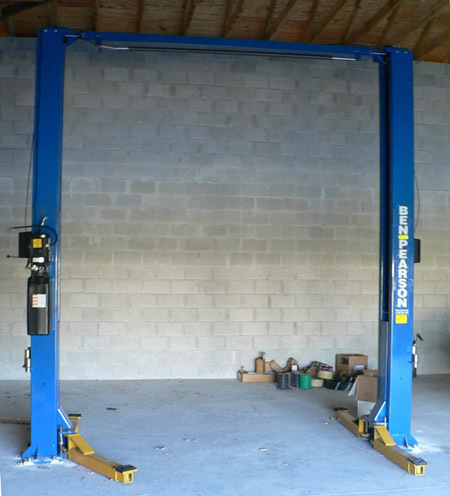 With the exception of the Kwiklift and other manually elevated or drive-on type devices, lifts are actuated by electric motors that either power hydraulic pumps or cable-and-pulley mechanisms. These electric motors are usually available in either 110- or 220-volt varieties, and the type of electrical service you have in your garage determines which variety you'll need. Another choice to be made is whether to go with a 2-post or a 4-post lift. Invariably, the 2-post lifts require permanent anchoring to a concrete floor and they have swing-out arms that make contact with the chassis of the vehicle just in back of the front tires and just ahead of the rears on each side. 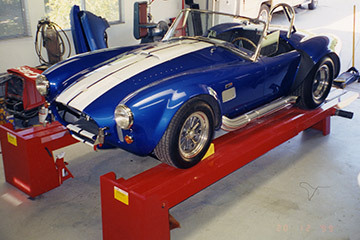 The 4-post lifts support the vehicle at all four corners and normally do not require permanent anchoring to the garage floor; these lifts usually can be moved about with the use of optional caster kits. These names are fairly self-explanatory. Drive-on lifts have runways that you actually drive the vehicle onto, hence the name. 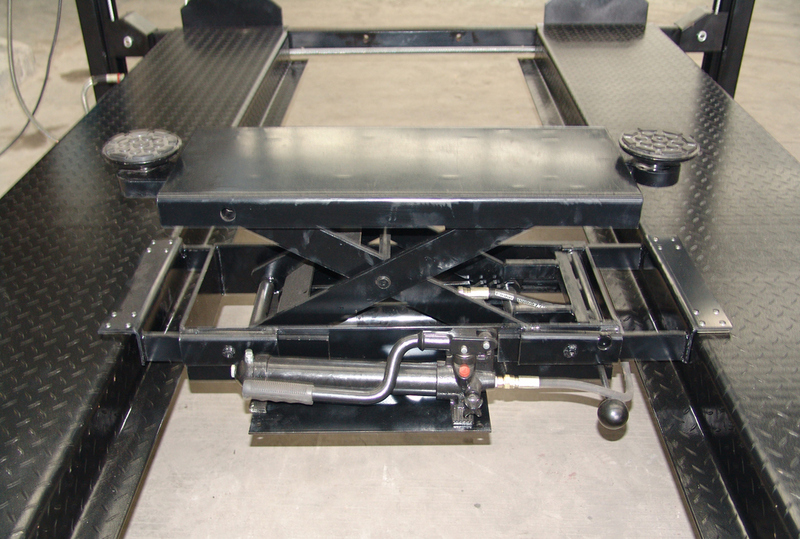 Conversely, frame-contact lifts have four contact arms that make contact with the frame of the vehicle. The two varieties differ in their appeal, usefulness, and lifting approach. 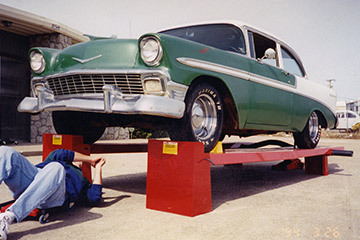 The drive-on lifts keep the suspension loaded since the weight of the vehicle is still resting on the tires, just as it does when on the ground; the frame-contact lifts allow the suspension to unload, since the wheels and tires are not supporting the vehicle. For any work that requires removal of the wheels and tires (e.g., replacing brakes, shocks, and so on), the frame-contact lifts are beneficial. They're also good for longterm vehicle storage since they prevent flat spots from developing on tires (which are not in contact with anything except the air). 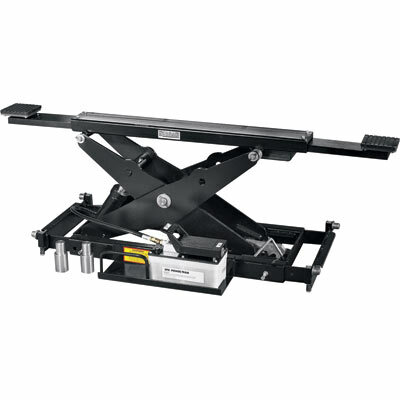 For tasks where it is desirable to have the suspension loaded, the drive-on units are the way to go. 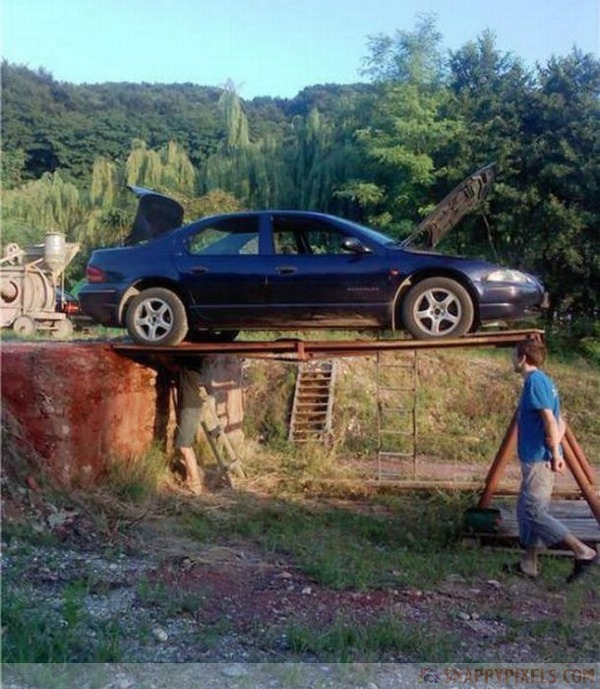 That's not to say that you can't do brake, shock, or wheel/ tire work on a drive-on lift. By using ancillary devices such as bottle jacks, you can still elevate the vehicle on a drive-on lift to unload the suspension. Without getting up on my soapbox, I make no bones about preferring American-made products over foreignmade imports, and I go out of my way to give the home-team players my business whenever possible. "Made in the U.S.A." should be important to anyone who's going to get underneath a lift with a 3,000-plus pound car on top of it! That being said, I would be remiss if I did not mention that a vast number of the lifts available are actually made in China, Korea, or other offshore sites and sold by various companies here stateside. Many of these companies will import bare-steel lifts from China, then either paint or powdercoat them, apply their own decals and/or nameplates, and sell them to the unwary consumer who thinks he's buying a quality American-made product when, in fact, this is not the case. Two cases in point are Direct-Lift (made in China) and Eagle (made in China). In a side-by-side comparison, these two lifts are absolutely identical. Both of these lifts use an inside plastic slider design, which means the only thing holding the deck to the legs of the unit is plastic. It's important to note this type of design has had collapses reported; hence you are forewarned here. Look for lifts that use all-steel components and, especially, steel slider designs. Don't be shy about asking questions when shopping for a lift -if the company's sales literature or Web site does not answer your specific question, ask the company directly, either in person or via e-mail, and get a point-blank answer to your inquiry. If they beat around the bush, beware! Any reputable company purveying a quality product will be entirely upfront and will gladly answer your questions; in fact, they will be eager to show you what makes their products superior to the competition. Any quality-made product should be well-backed by its manufacturer, and this is very true of lifts. A good warranty will give you peace of mind on two counts: 1) if the manufacturer is willing to back it, that speaks well of their confidence in a well-made product; 2) if anything goes wrong with it -a part fails, a hose leaks, and so on -the warranty should cover the repair or replacement at no cost to you. Great products should have equally great warranties, and you shouldn't have to wait for a replacement part to be shipped from China or other far-off locales. Depending on the manufacturer, type, and model of the lift, various accessories can make your life easier and expand the usefulness of the lift. Some accessories you may wish to consider are drip pans, shallow-incline approach ramps, runway connector bridges, transmission-support stands, jackstands, wheel chocks, elevating oil-drain funnels, bottle jacks, and other such items. Since there are so many different vendors of lifts and so many different models in a wide range of capacities and prices available, it really isn't possible or practical to list everything here. Please note that not all the sources listed are manufacturers, some are distributors; the American lift manufacturers are so noted. I wholeheartedly encourage you to contact these companies, check out their product offerings, and ask questions (starting with where the lift is manufactured) until you are thoroughly satisfied. As I mentioned earlier, this probably is going to be (or at least it should be) a once-in-a-lifetime purchase, so make sure that you're getting everything you expect with regard to quality, dependability, performance, value, and, most importantly, safety, when making your decision. 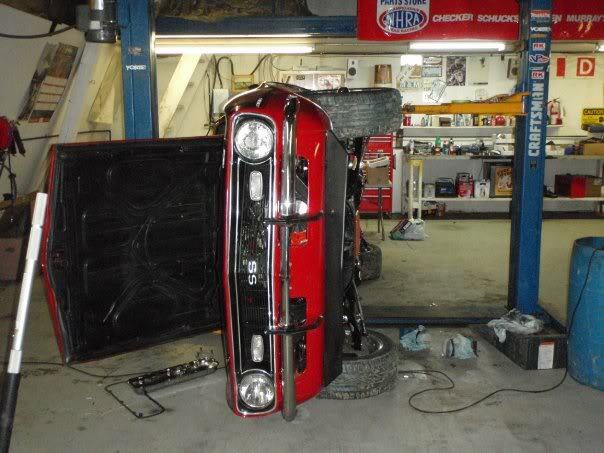 Well I have finally got my car lift in the shop. I have been looking for about a year now.I have read every article I could find, including the article written here by Grumpy.I knew before I read this article that I wanted a certified lift ,not a lift from China that wasn't certified. What I did find that most lift manufacture companies are now having their lifts built in China. Of the lifts I researched which included Rotary, Forward, Ben Pearson, Maverick, Ben Pack, Revolution, Quality, Ammco, and Challenger, I chose the Challenger CL10V3 which included 3 stage arms both front and back. The leading selling point that I liked about the lift I bought was it only needed 11 ft 8 inches to install. I had a the professionals install it and they had it up and finished in 2 hours. (2 guys) They knew each others move and worked together great. I had a 11 ft 10 1/2 inch ceiling height and it was close...real close. It is all ready to go but it was too late to really try it out so tomorrow I will lift some cars.I didn't know if my concrete was going to be ok but it turned out good having about 8 to 9 inches. Anyway for you who are shopping for a lift, look over the articles written here and buy a good lift ..one that has ALI on it and not ALA which basically means nothing. After seeing the guys put the lift in I would recommend you get a pro to install it. I know I could do it but they had all the equipment and there was no question on the skill they had . They were certified from Challenger. congrats and enjoy your lift! Grumpy, I've been investigating various two post lifts. I agree that off shore lifts are not generally a good idea. I've looked at the Pearson lifts like yours. I like the 10 AD model that Pearson sells that for about $600 less than the 9000 series. What is your opinion of this lift? I am a hobbyist, but I would want to be able to lift my 3/4 ton towing rig that weighs slightly over 6000 lbs. Capacity wise the 10 AD will do this. The ability to use it as a center or assymetrical lift is interesting. 90232 10AD 10,000 lb. 2 post with straight posts and asymmetrical arms. Built Tough, Built to Last. The 10AD from Ben Pearson. 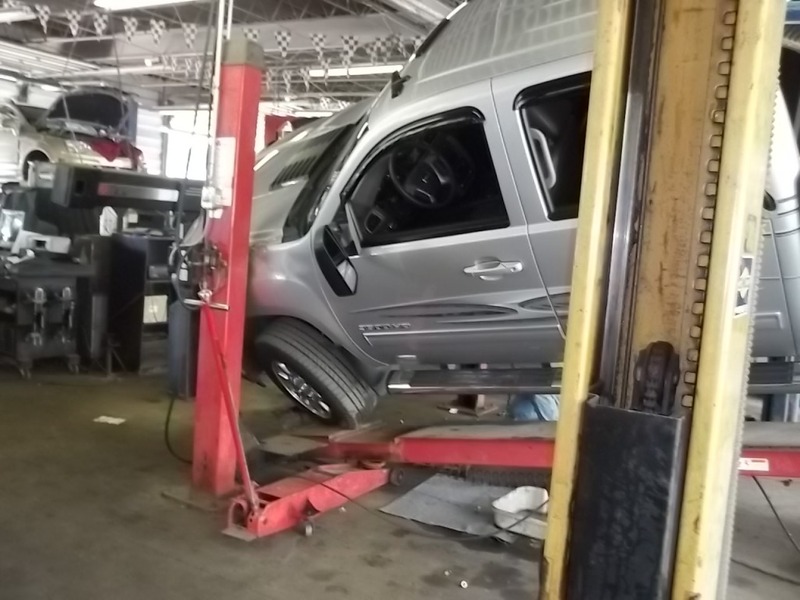 Every Shop is a little different and so is evry vehicle you service, that's why Ben Pearson created the 10AD two-post lift. This rugged lift gives you the flexibility to expand the services you can offer without expanding your service bay. The 10AD can lift in a symmetrical or asymmetrical mode, allowing you to work on just about any vehicle that comes in for service work. When You Invest In Ben Pearson's 10AD Two Post Lift, It's like Getting 2 Lifts for the Price of One. 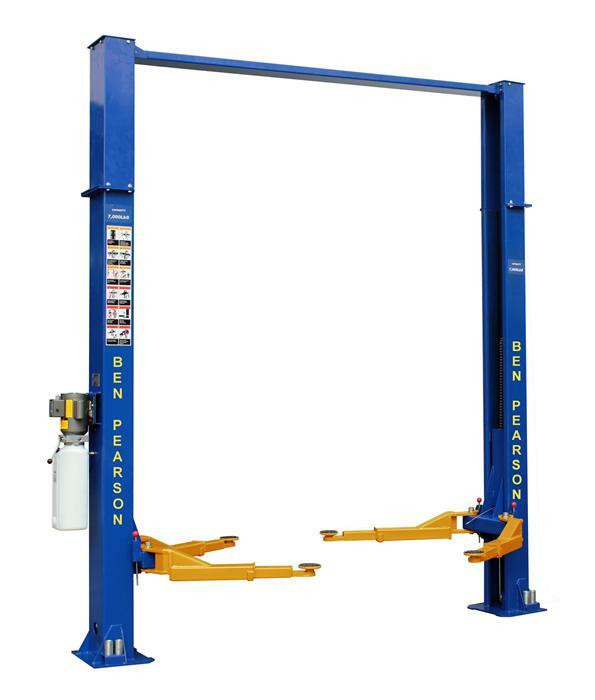 With 10,000 pounds of lifting capacity, two lifting modes and a heavy-duty lifting system, Ben Pearson's 10AD will deliver the power and reliability you've come to expect from a Ben Pearson lift. Want more Information? That's easy, just give us a call (1-800-436-1327) and let us explain feature by feature, what the best, most flexible and affordable lift you can buy. * Overall Height - 142"
* Overall Width (at Floor) - 137Â½"
* Drive Thru Clearance - 96"
* Lifting Height - 70Â¾ "
* Shipping Weight - 1,605 lbs. 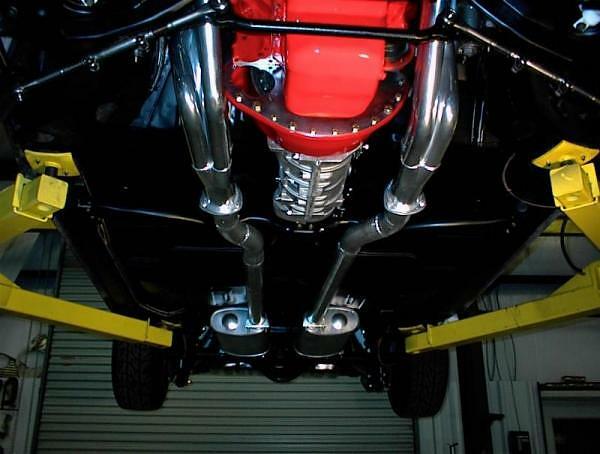 if you have pictures of your cars underside..while up on a 2 post or 4 post lift please post them, Ive had several people ask why I say a two post lift gives you more easy access to the drive train and suspension, but need pictures of cars up on both style lifts to show the difference. above typical 4 post designs, these tend to be far easier to get the car up on, but working on the suspension can be a P.I.T.A. below TWO POST these tend to be far easier to get to the cars suspension components , but getting the car up on them can be a P.I.T.A.